Brock CareerZone Blog: The Strangest, the Weirdest, and the Highest Paying Jobs Around! The Strangest, the Weirdest, and the Highest Paying Jobs Around! 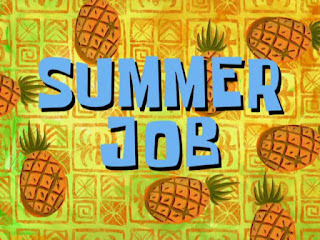 Here are a few fun job related lists to take the stress off your work week and/or job search! If you think your current part-time job at a fast food restaurant is bad at least you aren't a human alarm clock or a medieval court jester! Check out this interesting top 10 list that covers some of the strangest employment opportunities in human history. Looking to make over $200,000 a year? Or would you settle for a 'measly' $100,000? Find out who's bringing home the big bucks and what they do for a living. From shark tank cleaners to virtual gold farmers these are some of the most unconventional jobs around! Did you know that Christopher Walken was in the circus and Gwen Stefani worked at Dairy Queen? Find out where your favorite celebrity worked before they made it big in their industry! Even the most famous of us have humble beginnings! Astounding with thanks considerably with regards to expressing the following written text offer. I wanted similar to this valuable. Your content want motivates anybody significantly. At present observe the following cash advance With thanks considerably every last item of with regards to really good information.